Waarom een Elanra luchtioniser gebruiken ? An ioniser is a unit that attracts dust from within the air passing through it. It then discharges negative ions to absorb second-hand smoke, odours, and to clean airborne dust. It eliminates bacteria, germs and viruses and helps dispel fatigue, which makes driving more comfortable and energetic. Studies have shown that the air in our homes and offices can be more polluted than the air outside. And since most people spend about 90% of their time indoors, that means your home environment could be full of potential health risks. It's no wonder that a growing number of homeowners are seeking ways to improve their indoor air quality. Ionisers are designed to treat indoor air that has become polluted by gases or particulates. Particulates can be liquid or solid materials that are small enough to suspend in the air and can be composed of inorganic or organic compounds, bacteria or viruses. Common indoor particulates include that from pets, dust mites, fungal spores, molds and pollens. Gaseous pollutants include carbon monoxide, nitrogen oxide, nitrogen dioxide or the organic chemicals released from gas appliances, cigarette smoking and vehicle exhaust. Other pollutants can arise from gases released by building materials such as insulation, plywood or particleboard. Positive isn’t always a good thing! Did you know that electrical appliances pump positive ions into the atmosphere and that these positive ions are not good for your health? Think about your home and how many electrical appliances are working right now - TV, computer, stereo, fridge, toaster … the list is endless. The good news is, you can do something about it. Many people use air fresheners about their home, spraying chemicals everywhere. If you want to spend money improving the air quality in your home consider buying an ioniser. It doesn't artificially make the air smell better but it does make the air feel cleaner and fresher and I find it has the added benefit of making me feel more alive. What Can Negative Ions Do? Negative ions aid in increased oxygen intake. Research has been conducted since the 1950's about negative ions and improvement in mood, anxiety, increased cognitive ability, increased energy, reduced depression, and improved sleep, as well as improvement in breathing and air quality. Read on and discover just how useful this item is. The Elanra is the world's only portable therapeutic ioniser bringing health benefits and protecting users from unhealthy, dirty air wherever they go, including aircraft, cars, trucks, hotels and offices. Suitable for use worldwide. Will run on mains or battery. The Elanra Portable Ioniser has up to 32 customisable settings, is made from military grade components and can be battery, 12V / car, or mains powered. It comes with a set of replacement needles. The battery will last for 10 Hours. The Portable unit comes complete with all accessories, including vehicle installation kit, a special mains transformer that can be used anywhere in the world. The accessory kit includes a 9V Duracell battery; complete operating instructions and even a spare set of ionising needles. People planning to travel overseas can purchase additional IEC power cords. The Elanra Portable will deliver a stream of relaxing, refreshing negative ions of oxygen in just about any situation - while travelling, resting, dining, working or sleeping. It's small enough to slip into your briefcase or handbag. Long distance travel, whether by road, rail, sea or air can be the most trying aspect of holidays and business trips. Hours spent standing in queues or sitting in departure lounges, tiring driving conditions, air-conditioned vehicles and accommodation, pressurised aircraft, plus the inevitable jet lag afterwards, can all take their toll. Imagine being able to overcome all these problems simply by flicking a switch. Travel would become the pleasure it should be, and you'd arrive at your destination refreshed and in good spirits. The Elanra Portable is competitively and affordably priced. Inventor Joshua Shaw and his team of design experts have thought of everything. Their concept of an ioniser that can be used anywhere, is supplied with all the necessary accessories. A 9V Duracell battery, and a spare set of needles are also included. Having an advanced microprocessor incorporated in the circuit, the portable can be easily programmed for ion output and a range of frequencies, which include, 4hz, 7.83hz, 8hz, 10hz, 16hz, 25hz, 32hz, and 40hz. The microprocessor program also alerts the user when it is time to replace the precisely machined ionising needles, by changing the indicator light from green to orange giving the user 10 additional days to mail their needle re-order form. The indicator light also alerts to low battery level and diagnostics. Provision has been made for the ioniser to clip onto a specially designed stand, which is positioned on the dashboard or the rear shelf of the vehicle. The Portable can be easily dismounted for use, utilising the internal 9V battery or mains power. This portability gives drivers the freedom to travel anywhere they desire. Stop over in a luxury hotel, pitch a tent by the roadside, all the while enjoying the benefits of breathing the air that nature intended. It has been known for decades that drivers, particularly those covering long distances, faced special hazards. While most people believe that boredom and hours of concentrating are the causes of driver fatigue, there is actually a more subtle influence at work. The closed environment in a motor vehicle means the driver is breathing in a mixture of stale, low-oxygen air and traffic fumes. This atmosphere is already depleted of negative ions, but the conditions are exaggerated by the vehicle's air conditioning and the discharges from the electrical system. This can put you, your passengers, and all road users at risk. 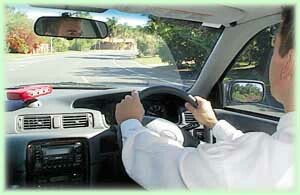 Bearing in mind the above results of drivers using the ioniser, you might now be feeling that you owe it to yourself and others to take action. Most people who use the Elanra wouldn't part with it for love or money. However, for your peace of mind, there is a 2 year warranty.